Image: via Brian Fallon. 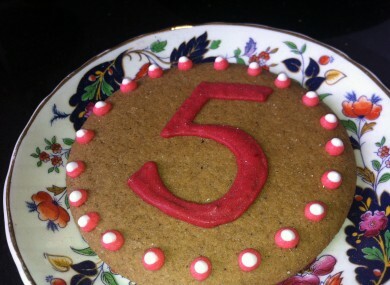 Do you have a '5' photo you'd like to see on TheJournal.ie? Send it in to tips@thejournal.ie. 1. #MEDIA DIVERSITY: The chairman of the media group which publishes the Irish Examiner and Sunday Business Post has called for newspapers to benefit from any public service broadcasting levy introduced by the government. Speaking at a conference on media diversity in Dublin today, Alan Crosbie also claimed that new media has the “capacity to destroy civil society and cause unimaginable suffering”. 2. #IAN PAISLEY: Former Northern Ireland First Minister Ian Paisley has been hospitalised after falling ill yesterday afternoon. 3. #ARREST: Gardaí in Dublin have arrested a 52-year-old man in connection with a fire in Tallaght over ten years ago in which 12-year-old Stephen Hughes Connors was killed. Gardaí said that the boy was sleeping in a makeshift hut which was set alight on the 1 September 2001. 4. #X CASE: Today marks the 20th anniversary since the controversial ‘X case’ which led to a referendum on a woman’s right to life, her right to information on abortion, and the right to travel for a termination. Here’s a timeline of the X case from December 1991 to today. 5. #DOLL’S HOSPITAL: Ireland’s only doll’s hospital and teddy bear clinic closed its doors for the last time on Saturday – but now looks set to reopen in some shape or form at the new National Children’s Hospital.